Learn about companies, trademarks, GST and other business problems. Download India's first Online GST Magazine. Consent letter may be printed on normal paper. (DOWNLOAD THE CONSENT LETTER IN WORD FORMAT). 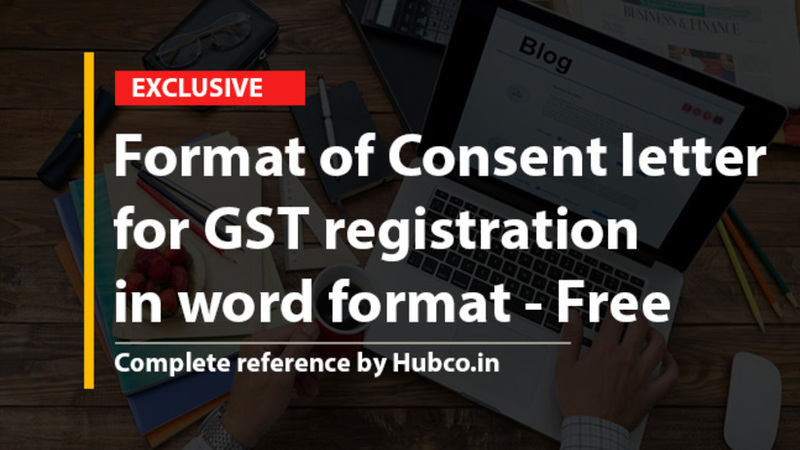 What is consent letter in GST? Consent letter is a documentary evidence that the owner of the property has allowed the business to operate from his place. In case you have any query, kindly write to us at info@hubco.in. Is your Query, still unanswered? Subscribe for free magazine and our startup network. You have successfully subscribed !!! Join the largest network of startups, CA, CS, Lawyers.